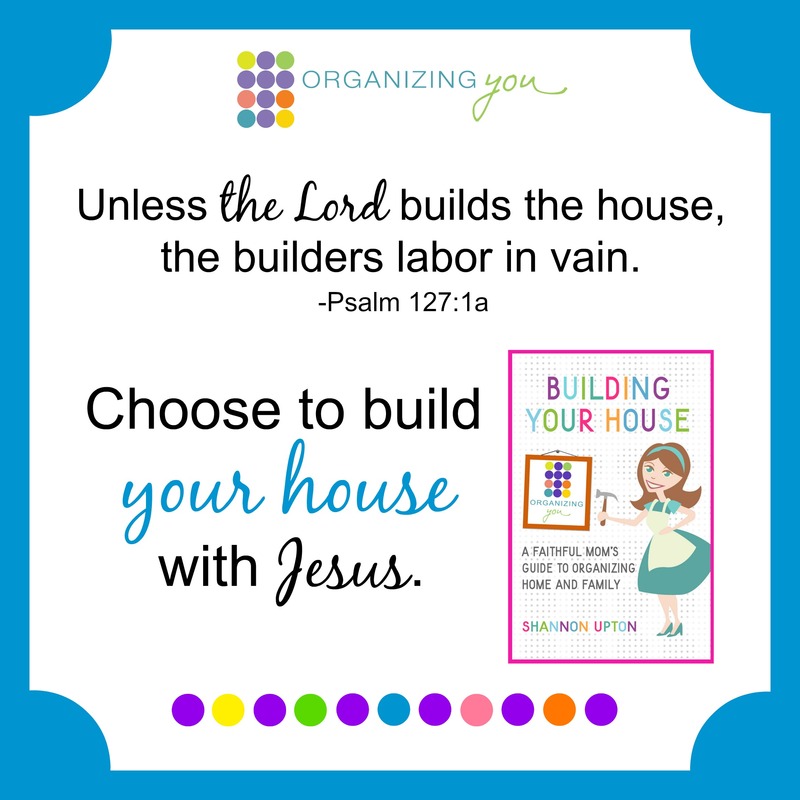 For our Thought Shots today, I took some quotes from Building Your House and made them pretty enough to remember and share! 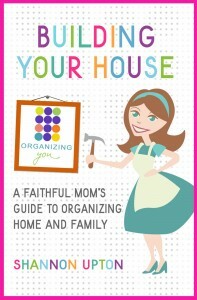 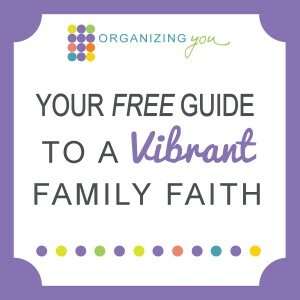 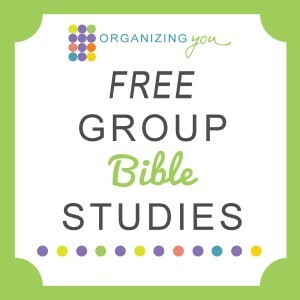 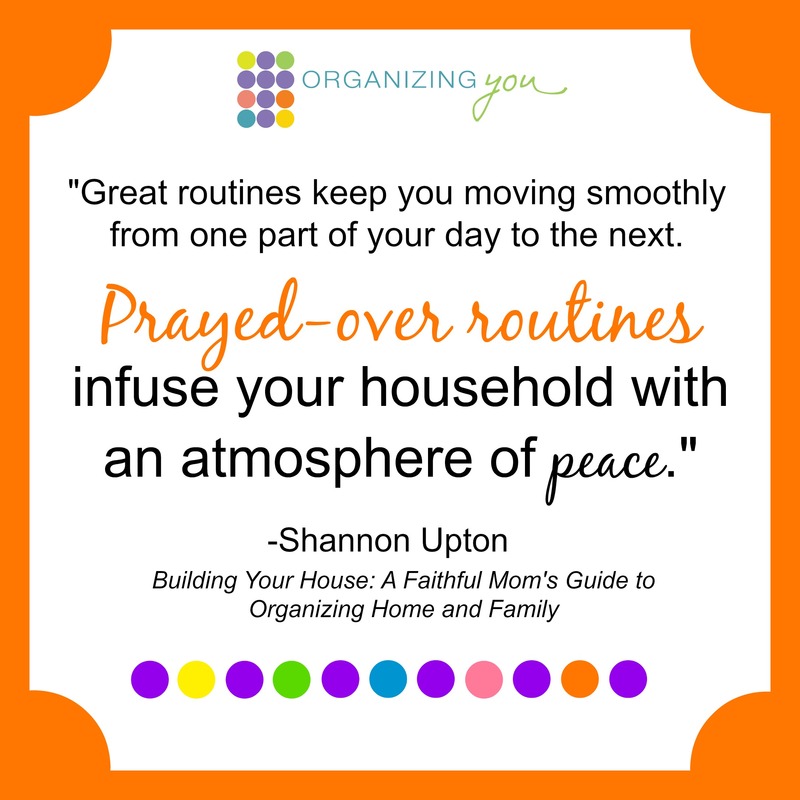 Read them through to see which ones speak to you, reaffirming what you believe about faithful home organization. 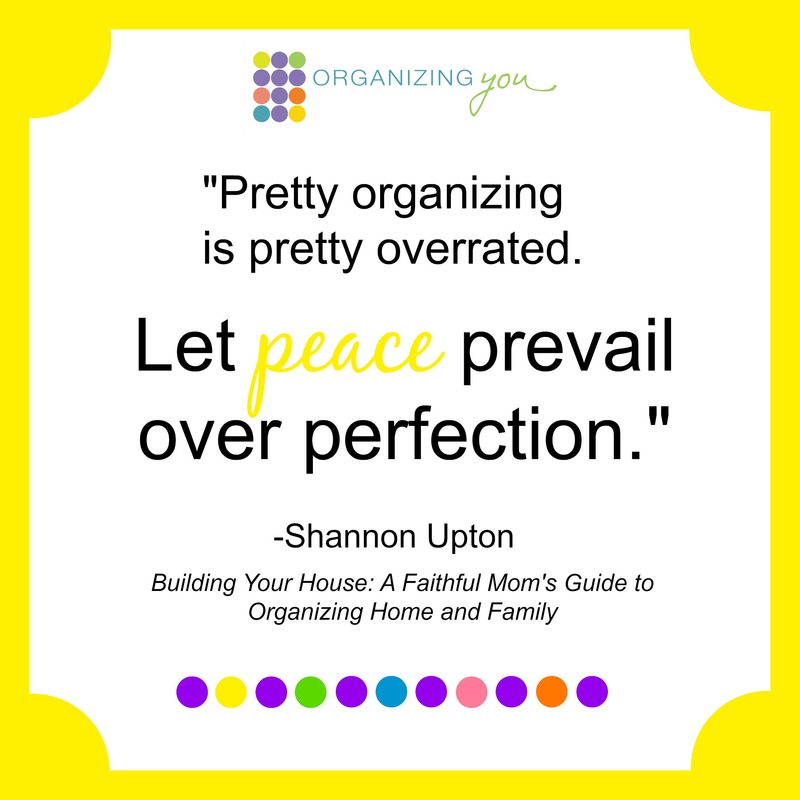 Lie to Fight: Organizing is about creating a perfect home. 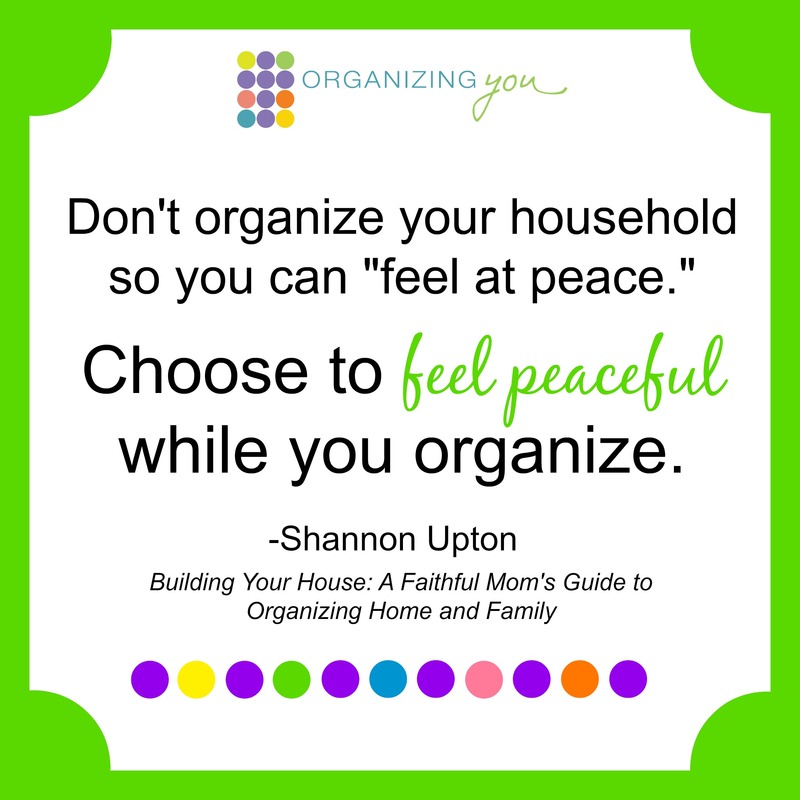 Lie to Fight: My home has to be organized for me to be happy. 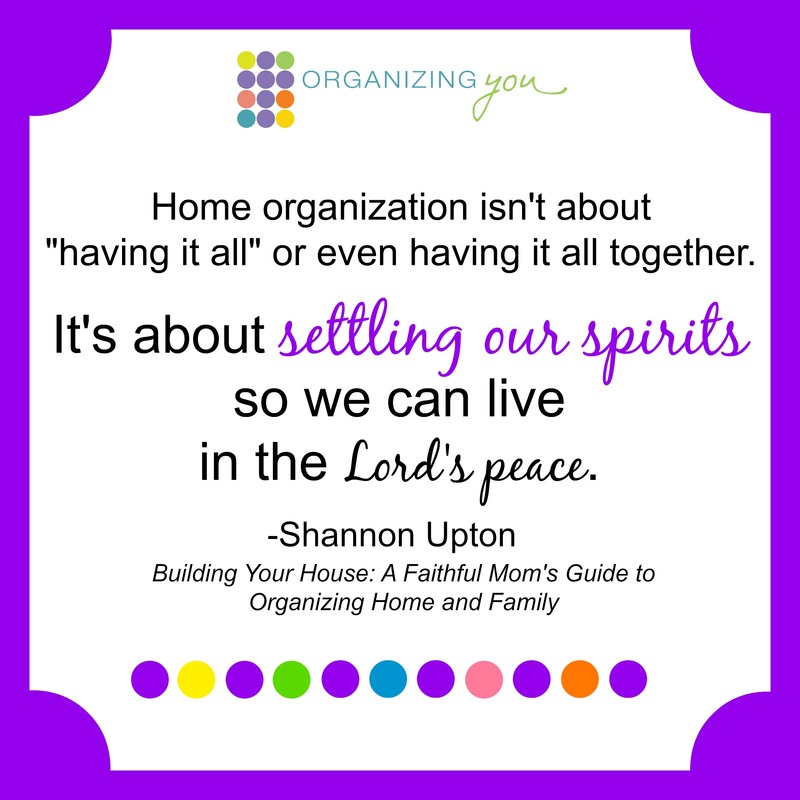 Lie to Fight: Organizing and running a home isn’t a “spiritual” venture; it’s spiritually neutral at best and a necessary evil at worst. 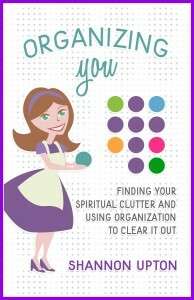 Thank you so much, Friends! 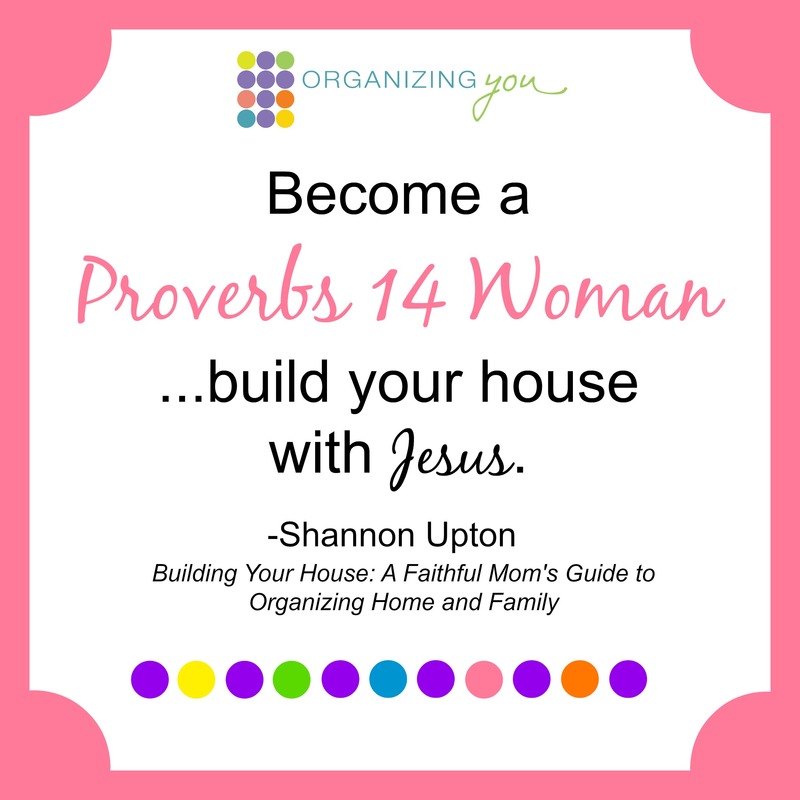 Together, we’re reaching homes and families, impacting this generation and the next, with the message that everything—including running a home and family—is for the glory of the Lord! 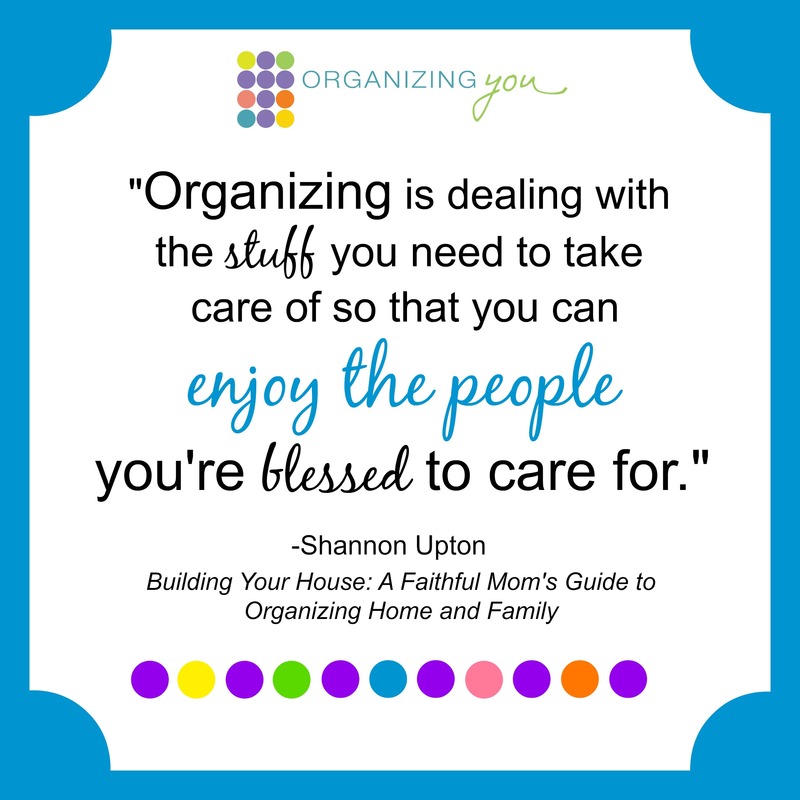 Food Makes Me Happy… Doesn’t It? 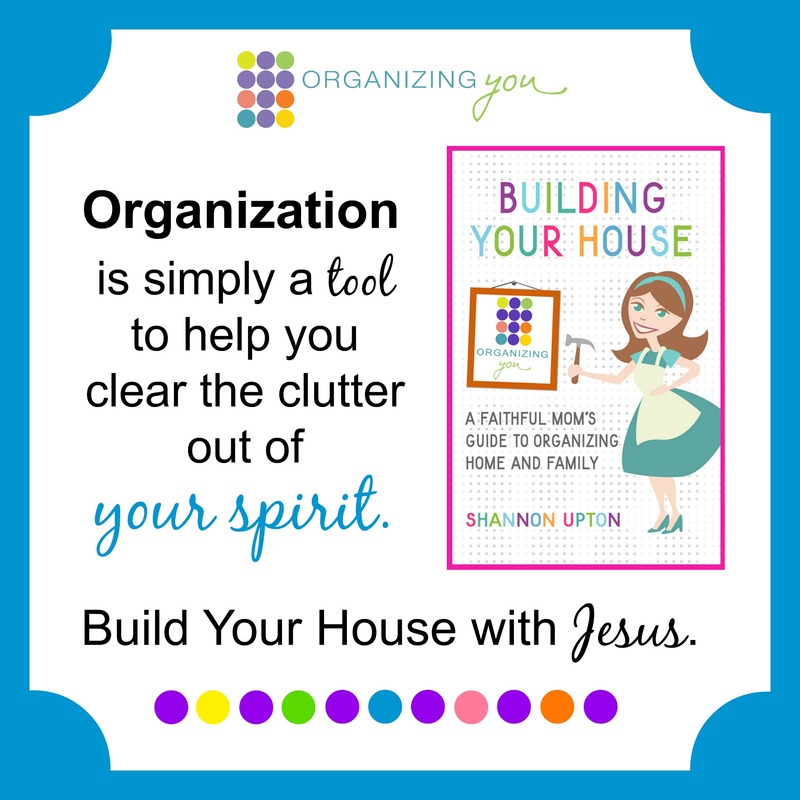 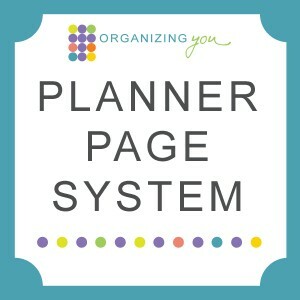 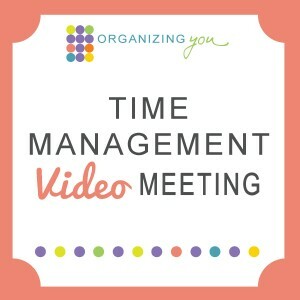 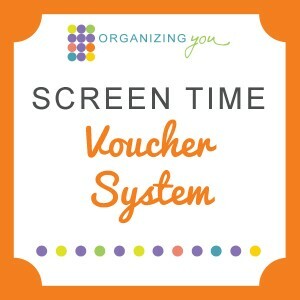 → ← Get Organized? 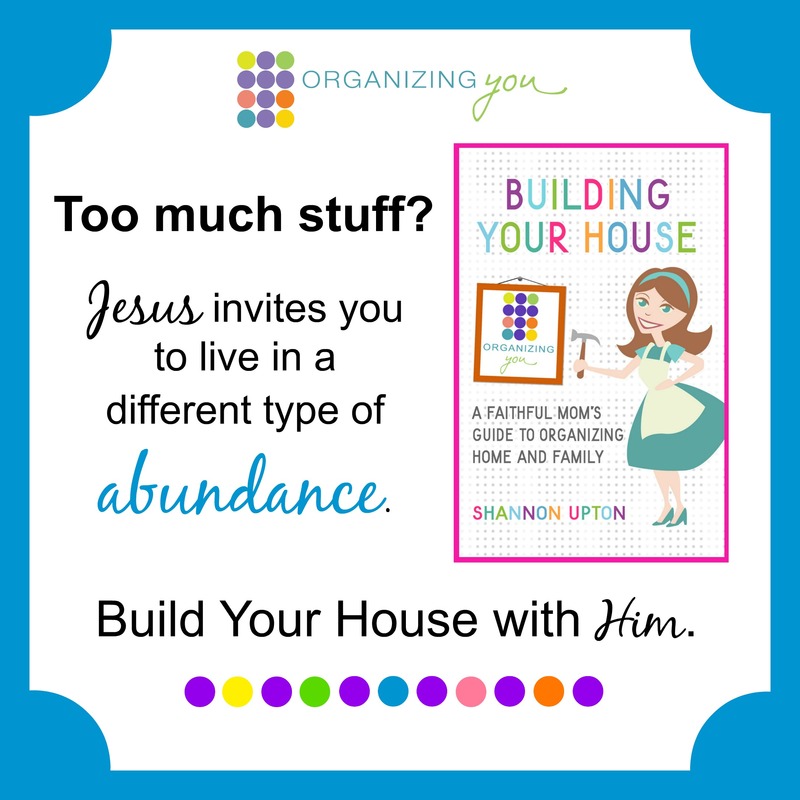 Or Let Jesus Handle the Mess?